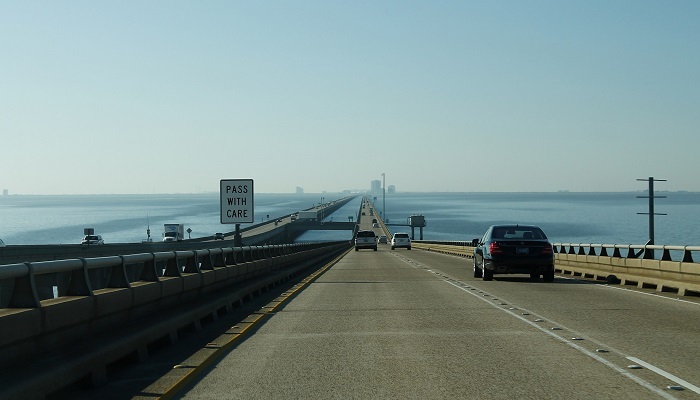 Lake Pontchartrain Causeway South: Image of looking down a road that goes over a long bridge over water. Source: Flickr. Photographer: formulanone. License: Creative Commons Attribution-ShareAlike 2.0 Generic. 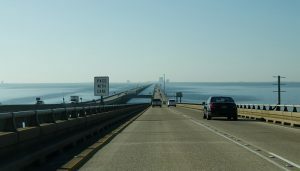 The image has been cropped.